As easy as 1,2,3 Need some extra help with math? 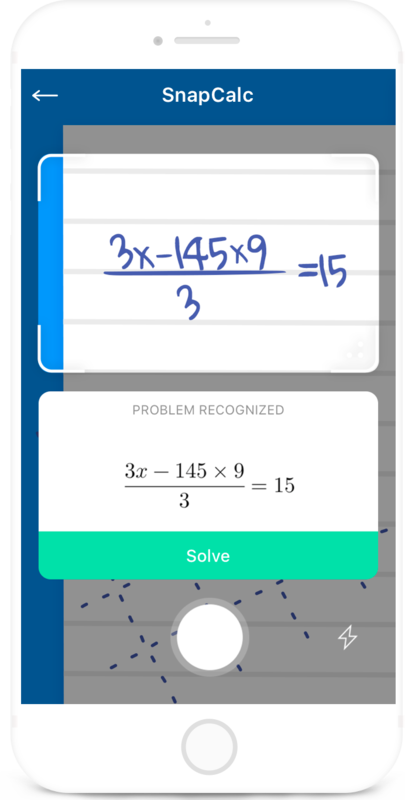 Just snap a math problem and get the result on your screen instantly! Math is hard, but with SnapCalc it's never been easier. 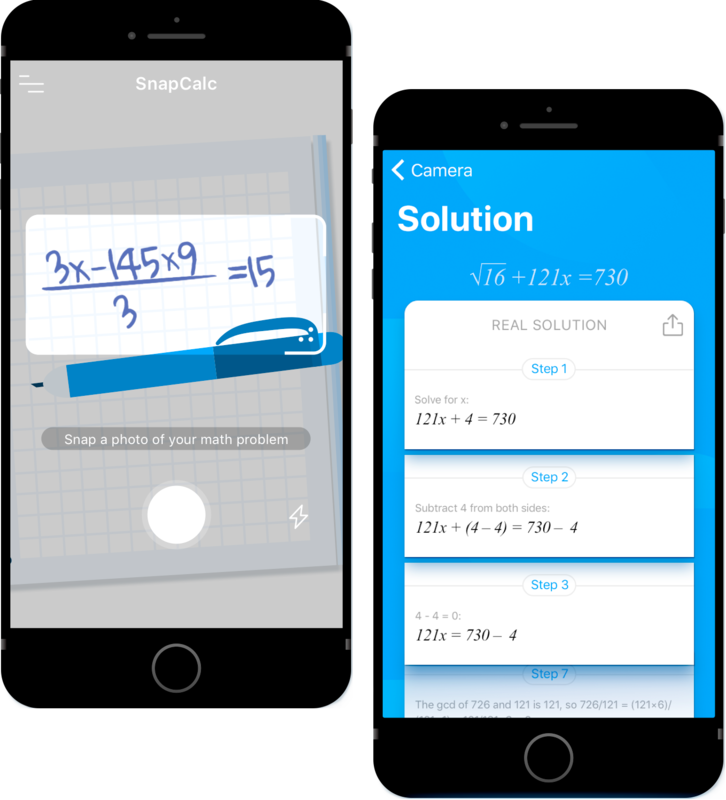 SnapCalc recognizes both handwritten problems as well as printed ones. Want to see the steps too? SnapCalc provides both straight answers and the corresponding step-by-step solutions.